In this day and age, with digital downloads being on the rise it beckons the question; how long will the physical CD continue to survive? What is really lost when the digital download wins in popularity? There is more to the physical CD than just the music on the disc, there is a lot of craft that goes into the packaging of the CD. Many collectors appreciate the CD booklets that come with the CD; sometimes it is the most rewarding part to peep out the artwork that goes along with the album’s music. The artwork has a relationship with the music, a lot of thought goes into the production of the artwork, which can offer further insight to the music. 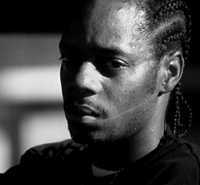 Everyone that follows Strange Music is well aware of the diabolical raps that Brotha Lynch Hung brings to the musical table. However, not many pay too much attention to the cover art that accompanies the music. It goes without saying that people who bought the album Dinner and a Movie, and the newest Coathanga Strangla, have seen the album art on the cover, but has anyone paid enough attention to how these covers set you up for the type of style/mood the album will be? Dinner and a Movie presents itself with some sort of makeshift homemade mask. The mask appears to have time put into its creation, but was not meant to be perfectly symmetrical. The left eye being smaller than the other is proof. This may very well be a symbol for how much work Brotha Lynch puts into his rhymes, with very precise delivery mixed with cannibalistic metaphors. This image of the mask is very apt at showing the relationship of this mask to the rhymes. It gives some insight into the mind of the artist Brotha Lynch. The mask being featured in the music videos helps set up the beginning of his trilogy of albums with Strange Music. The realistic font used to spell out Brotha Lynch Hung and Dinner and a Movie is a nice touch to add to the authenticity that Brotha Lynch wants to get out of this album. Not only should the music and artwork entertain you it is also a reminder that there are some seriously demented folks out there. Going into his second album, Coathanga Strangla, Brotha Lynch Hung’s cover art is of two hands in black gloves dripping away, as if covered in blood. Once again this is not an over the top or over done cover art. The simplicity works for the eeriness of the second installment. The title Coathanga Strangla makes use of the realistic hand written font found on the first album, which ties both albums together. Once again the cover is of a single body part or object used to cover a body part, stuff you would wear when committing murder. This may very well be a metaphor for this built up or made up persona that Brotha Lynch takes on in his music. It may very well be insight into what goes on in his head for inspiration for his raps. Although digital downloads may be the popular way of the future, for the time being, countless fans enjoy checking out the artwork that accompanies the music. Many collect all the Strange Music albums mainly for the music,but also for the cover art. Brotha Lynch and Strange Music do their part to keep coming out with fresh news concepts, and ideas for die hard fans to eat up. Time will tell what Brotha Lynch Hung has in store for the masses next, but everyone can be sure it will be groundbreaking, and give you something to think about.